The purpose of the C.G. 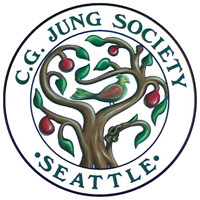 Jung Society, Seattle, is to support a sustainable learning community centered on the life and work of Carl Gustav Jung. We promote Jung's analytical psychology, which emphasizes the development of the whole person as the path to self-knowledge, creativity, and well-being. At the Society, we examine the interplay of the conscious and the unconscious through the lens of diverse traditions, including religious, transpersonal, and mythological ones. We organize events such as lectures, workshops, and discussions that offer intellectual, participatory, as well as experiential engagement with Jung's work. Our annual program of events includes nine monthly lectures and workshops, as well as seminars and study groups, including a summer workshop series exploring Jungian topics. Our presenters include both locally- and nationally-known Jungian scholars. CEUs are available for counseling professionals needing continuing education credit, and our events are, for the most part, intended for the general public. Our reference library, the Nancy Alvord Library, contains more than 1,500 volumes on psychology, religion, philosophy, symbolism, and cultural anthropology. The library includes the Kate Millard Memorial Collection of rare and out-of-print works by Jung and Jungians; major depth psychology books and periodicals; and over 40 years of lectures presented to the Society, now digitized and available for listening online. Formed in 1973, the Seattle Society is one of many such organizations around the world. We are an all-volunteer organization which thrives on the efforts of community members who share a passion for the insights of depth psychology. Membership is open to anyone interested in learning about Jungian thought, and as part of our annual program of events, we offer occasional introductory seminars that are free to members. To learn about other benefits of membership, please see “Member Benefits”. Please check out our schedule of upcoming lectures and workshops by locally- and nationally-known presenters! C.G. Jung Society, Seattle, is a tax-exempt 501(c)(3) nonprofit educational corporation. Our operations are supported by donations and membership dues. To learn about ways to give, please see “Support Our Work”.